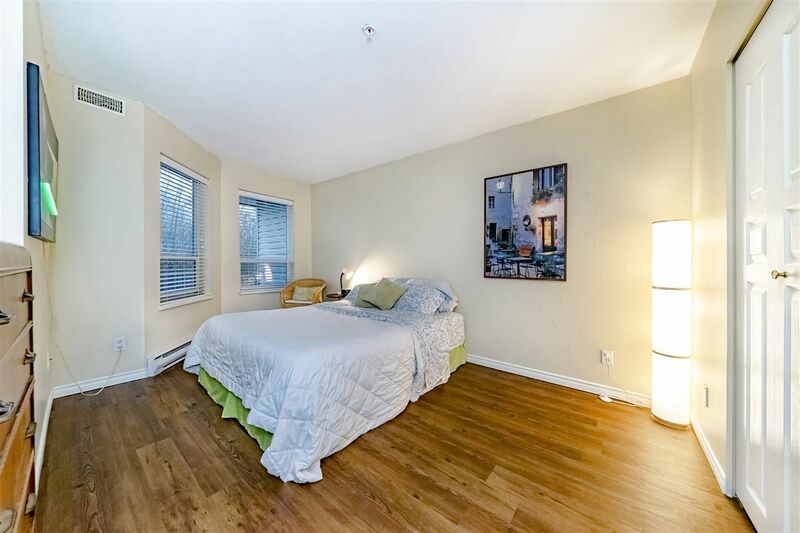 Top Floor 1 bedroom in a FULLY RAINSCREENED (roof, cladding, windows, door, patios, all replaced) BUILDING. 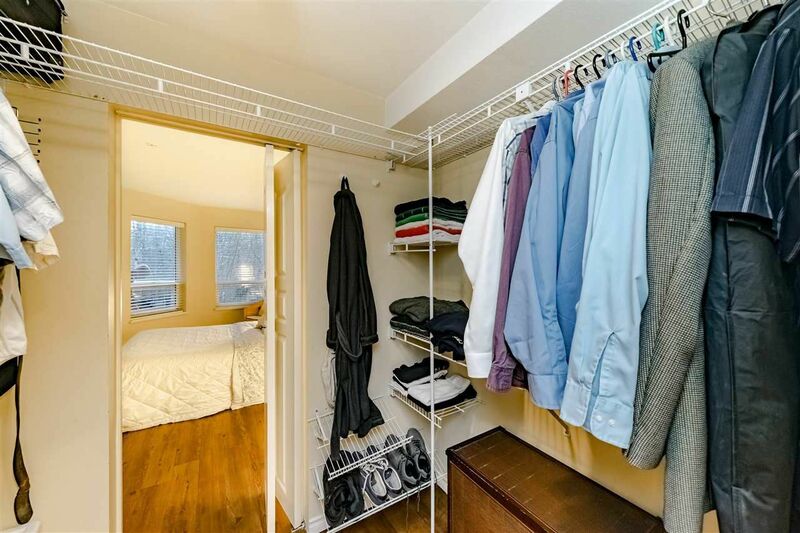 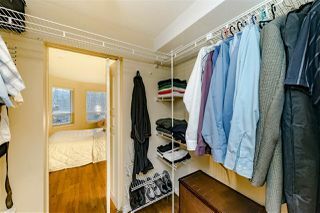 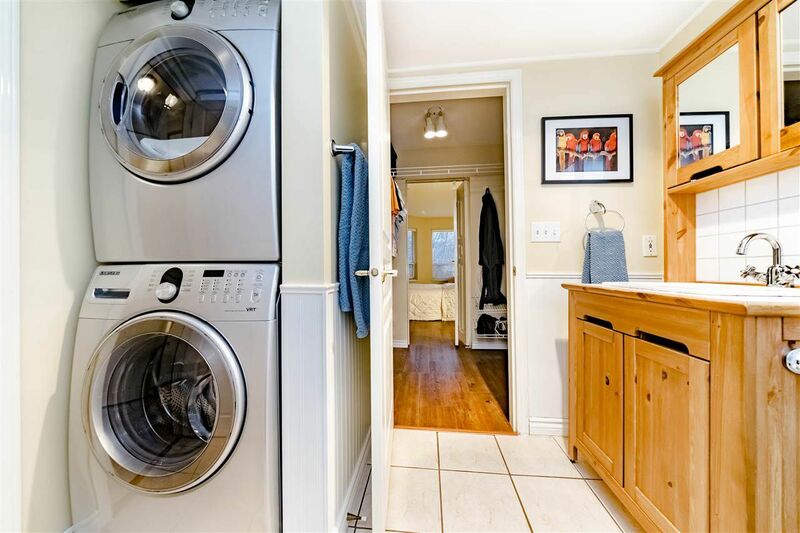 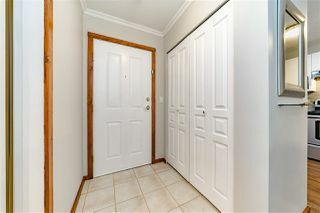 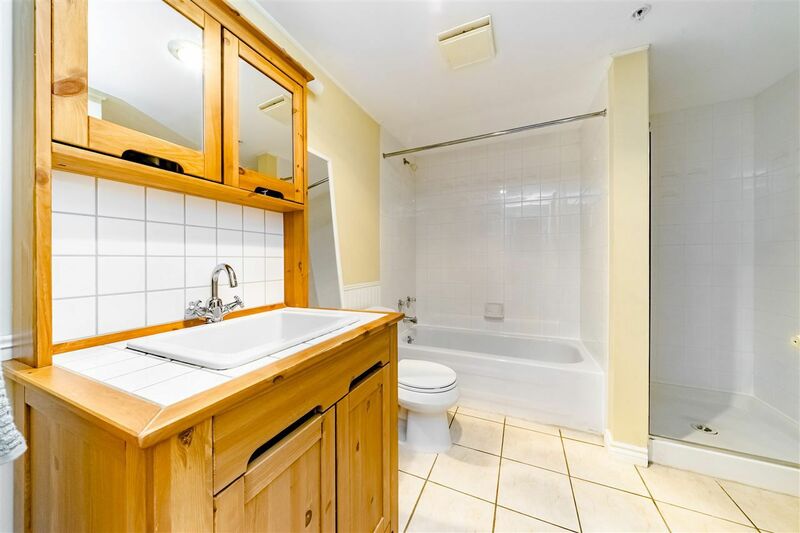 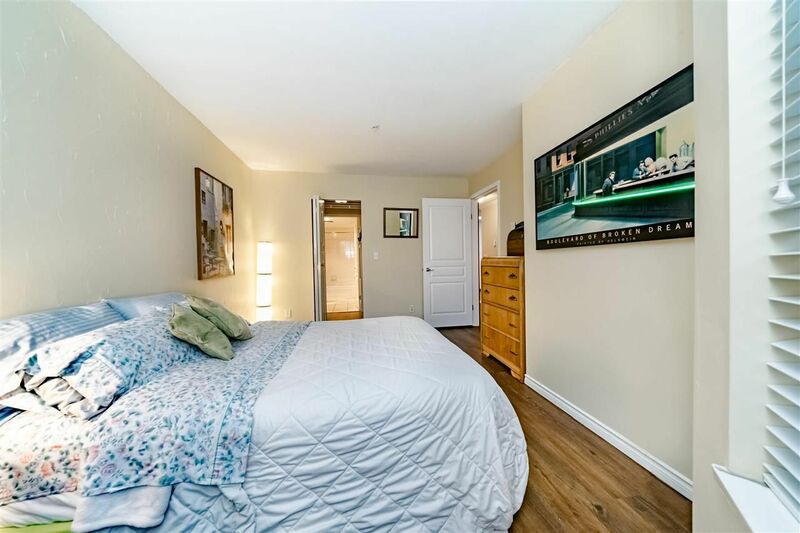 Huge bedroom with large walk-in closet leading to bathroom with a separate shower & tub. 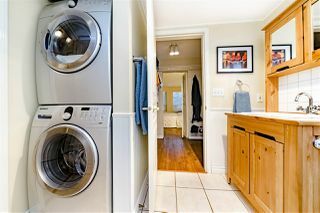 Full size newer washer & dryer. 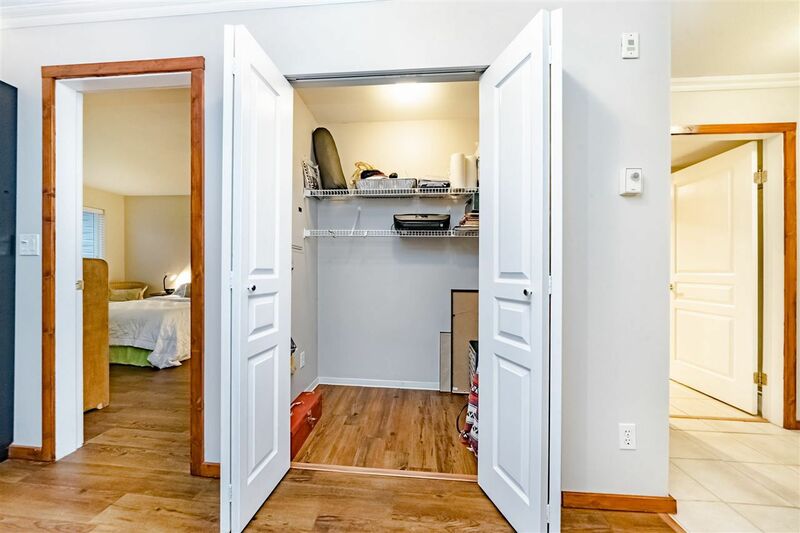 In suite storage/computer station a bonus. 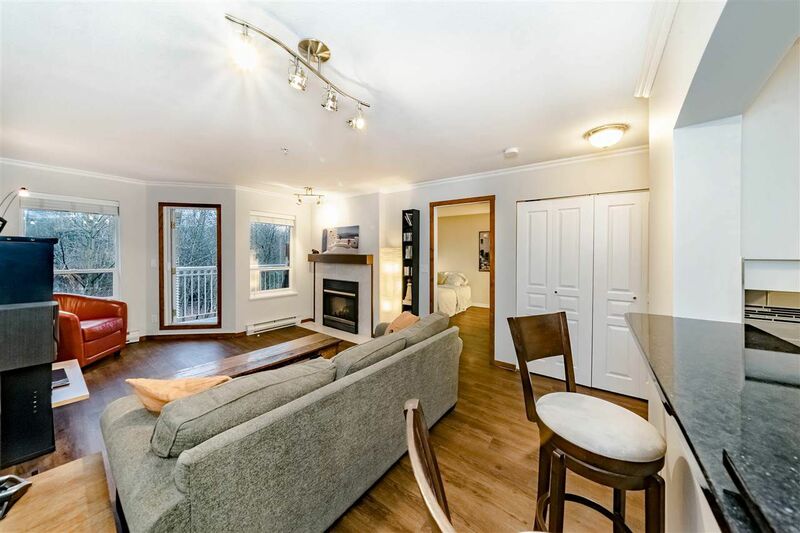 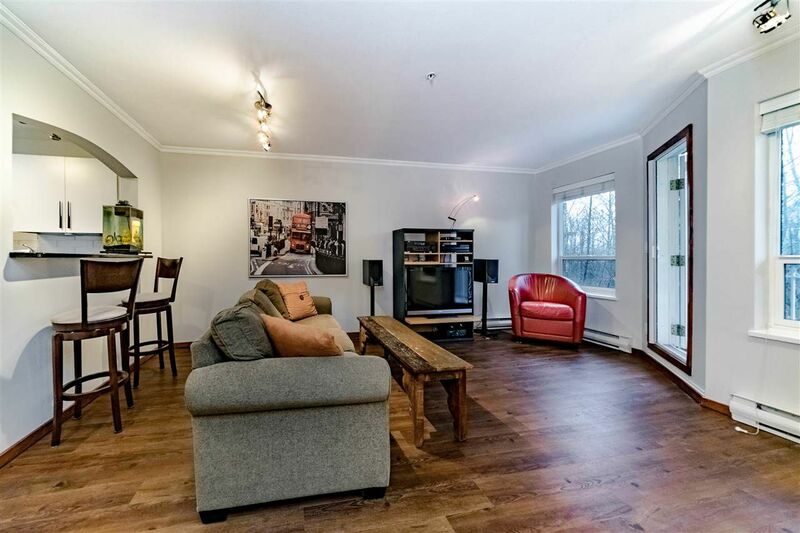 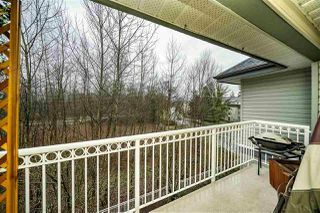 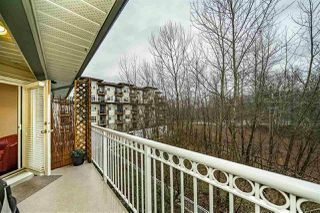 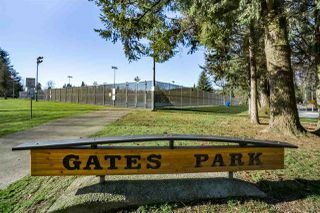 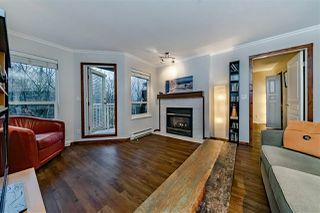 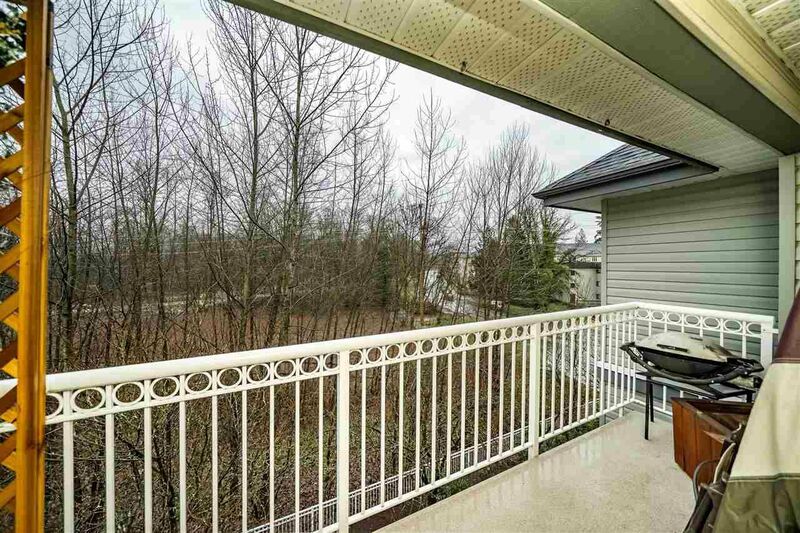 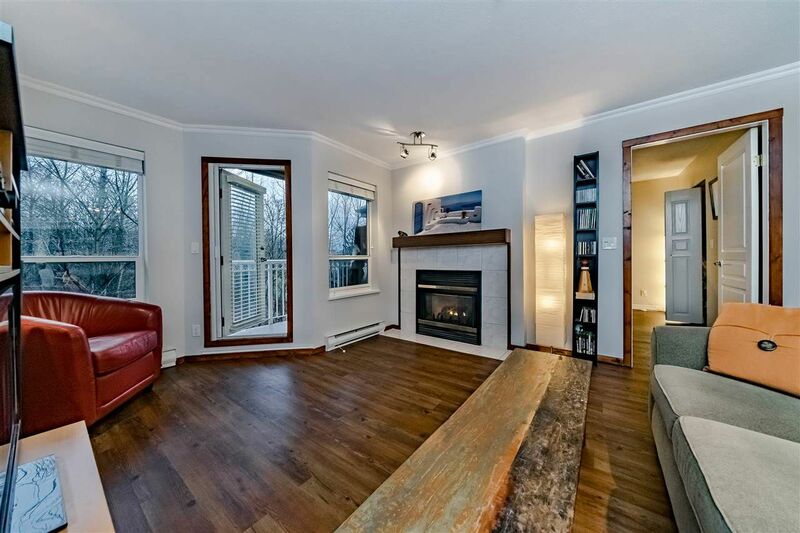 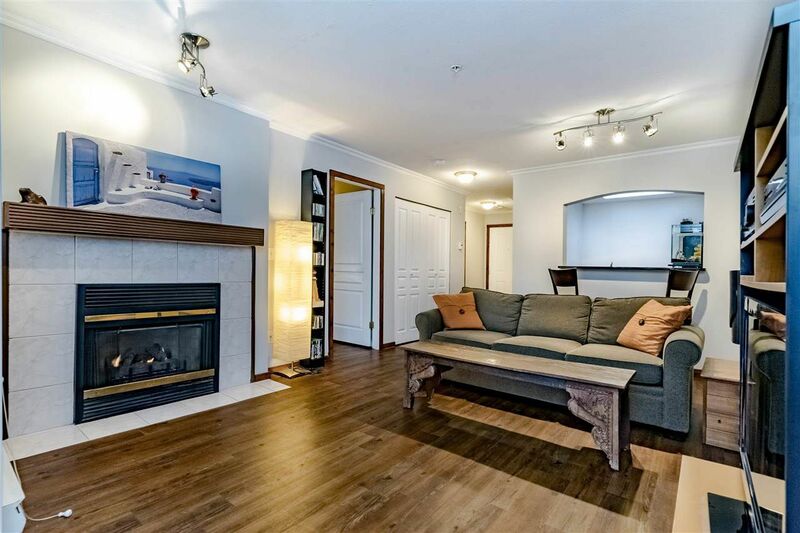 Spacious living room with gas fireplace (included in main fee) over looking the Park & Coquitlam River & Trails. 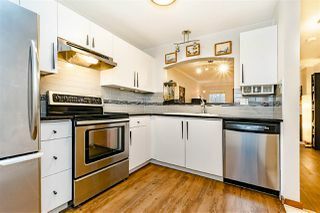 Newer kitchen with quartz counters/stainless steel appliances, breakfast bar. 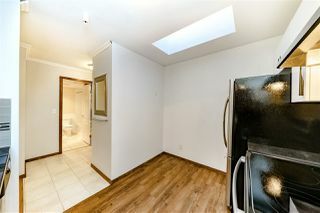 This unit has BRAND NEW LAMINATE FLOORING thru out living room & bedroom, freshly painted a warm grey. 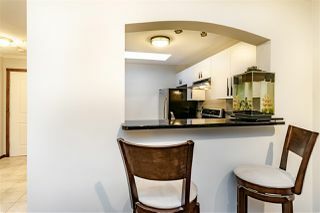 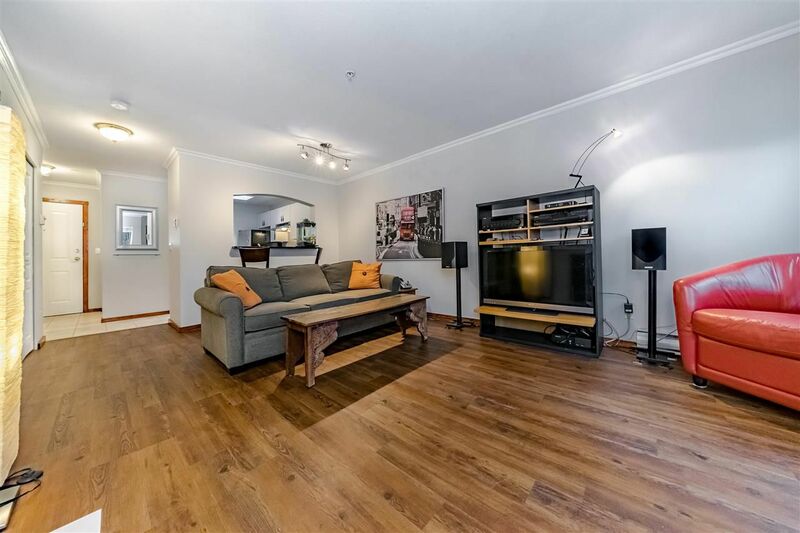 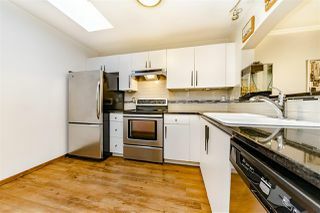 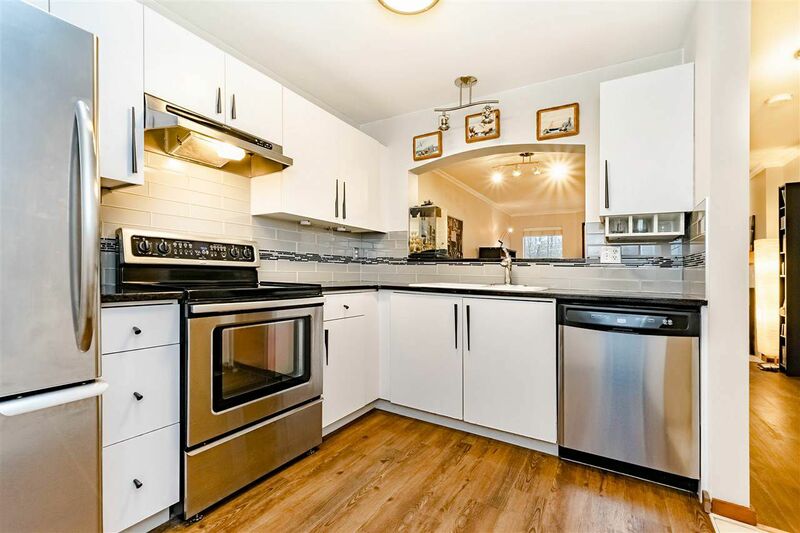 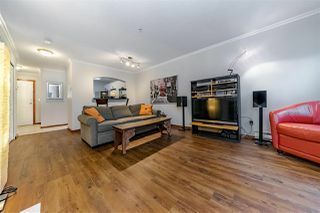 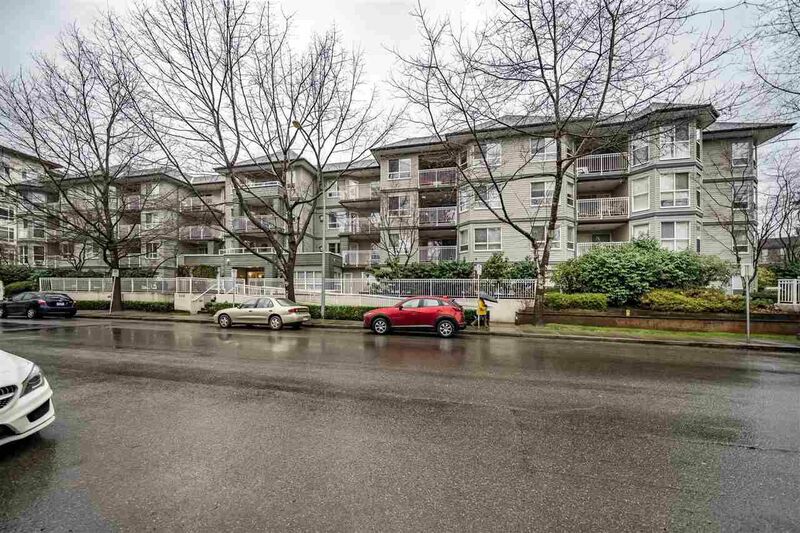 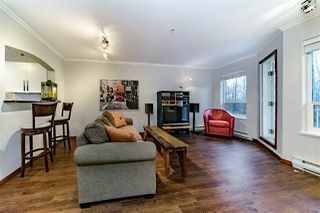 This updated condo is in an urban central location steps to West Coast Express, Bus Station, Restaurants, Shopping, Cafes & Coffee Shops & Pubs.